Sweetcorn monster, a photo by PhylB on Flickr. 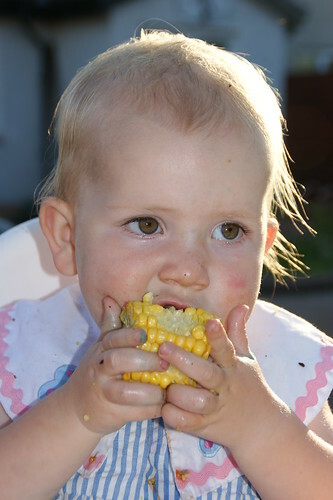 Sweetcorn tastes really nice barbecued. It also has strange cleansing properties. I had drawn all over my hands with green permanent marker and mummy had given up with both soap and baby wipes just before dinner. Straight after I ate the sweetcorn though, everyone noticed my hands were clean again. Strange!